My typical morning begins with a creative, yet ineffective pour over using a paper towel for a coffee filter followed by a stroll around the block with my twelve golden retriever puppies that I wish I owned. I love really bad jokes, probably because I can’t tell very good ones. I was born in Palm Springs, California and lived in that magical sunny place my entire life before moving up to Seattle for school. I fell in love with film & photography at a fairly young age in high school and was lucky enough to be mentored and gain experience in the industry. 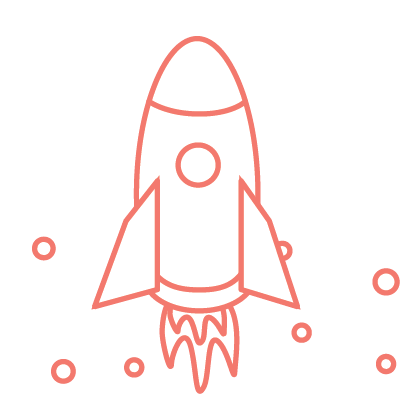 Coming to SPU branched me out of the video world and opened my eyes to the beauty of design. My longterm goal is to be somewhere in the film industry. 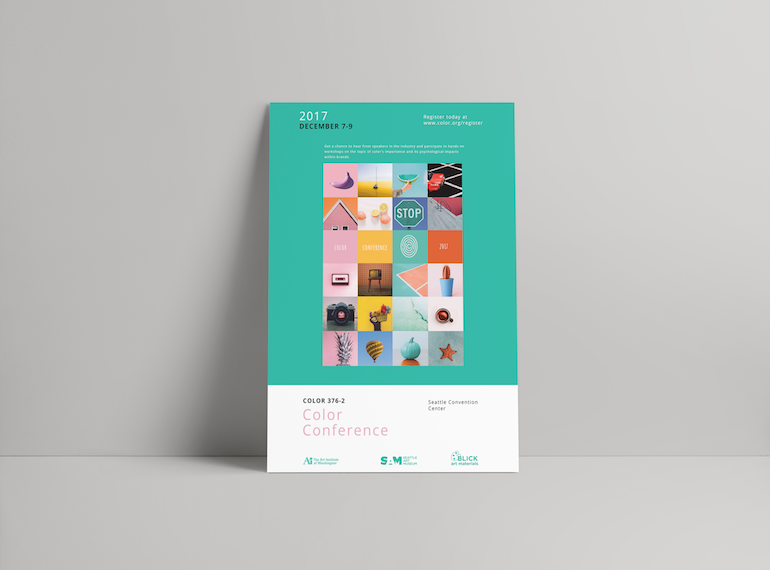 The Color Conference focusses on the significance of color within a brand’s identity and provides a platform for the audience to dive into color and its meaning. This poster was an asset towards the color conference in effort to give context around the event and entice folks to attend. 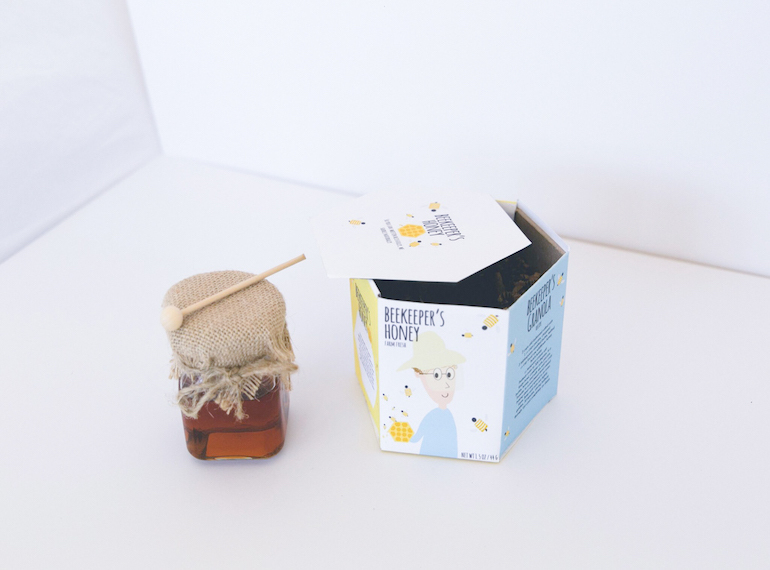 Beekeeper’s honey is a locally farmed product derived from bee farmers who feel like your next door neighbors. This was the first time I went through the packaging design process and I loved forming a physical design that stemmed from sketching and ideation. Exploring an illustrative approach in packaging design was important to me in this project. IPV is a huge issue that can lead to women fleeing their homes. The goal of this project was to create two interrelated infographic designs to support data found for women who are victims of intimate partner violence. The data shows that women who are exposed to this aggressive behavior in relationships have a higher risk of becoming homeless.